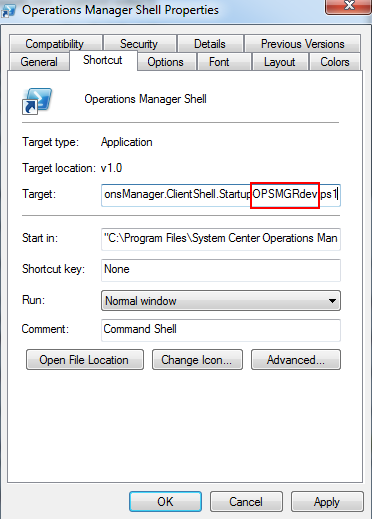 So for the console we can create different shortcuts for the MG’s with the switch..
Microsoft.EnterpriseManagement.OperationsManager.ClientShell.StartupOPSMGRdev.ps1 for my development environment. So now I have a shortcut for every Management Group in my environment. Cory Delamarter have written a post on the same subject but with an other angle.